Selenite is one of the prettiest and most elegant crystals that you will ever see. 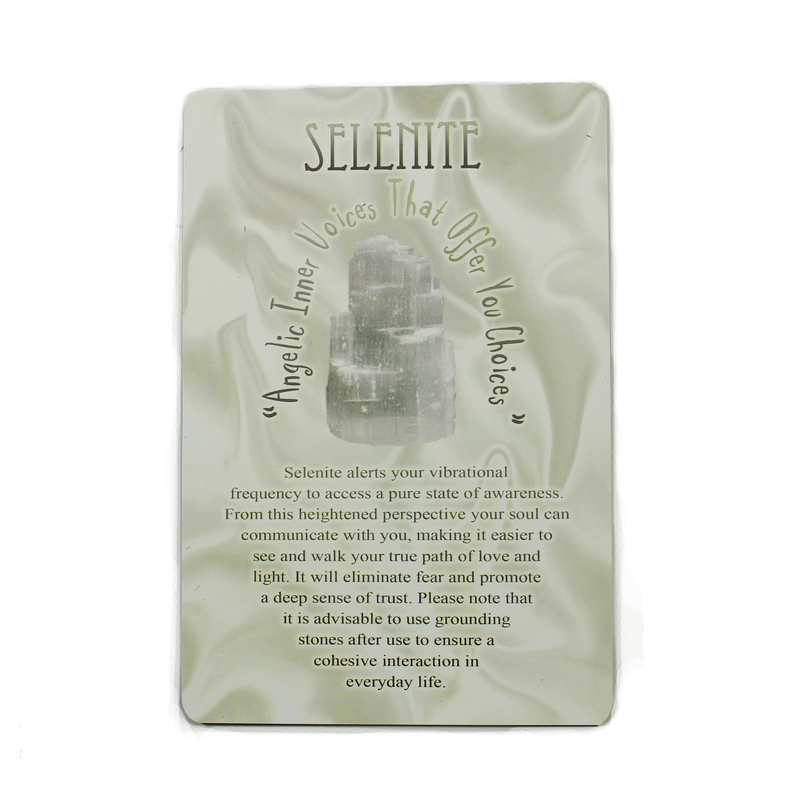 Selenite is not only beautiful, it is belived to be one of the most powerful and versatile stones to work with. Its name comes from Selene, the Greek Goddess of the Moon. Messages from Mother Earth – ,"angelic inner voices that offer you choices". It is reputed to eliminate fear and promote a deep sense of trust. 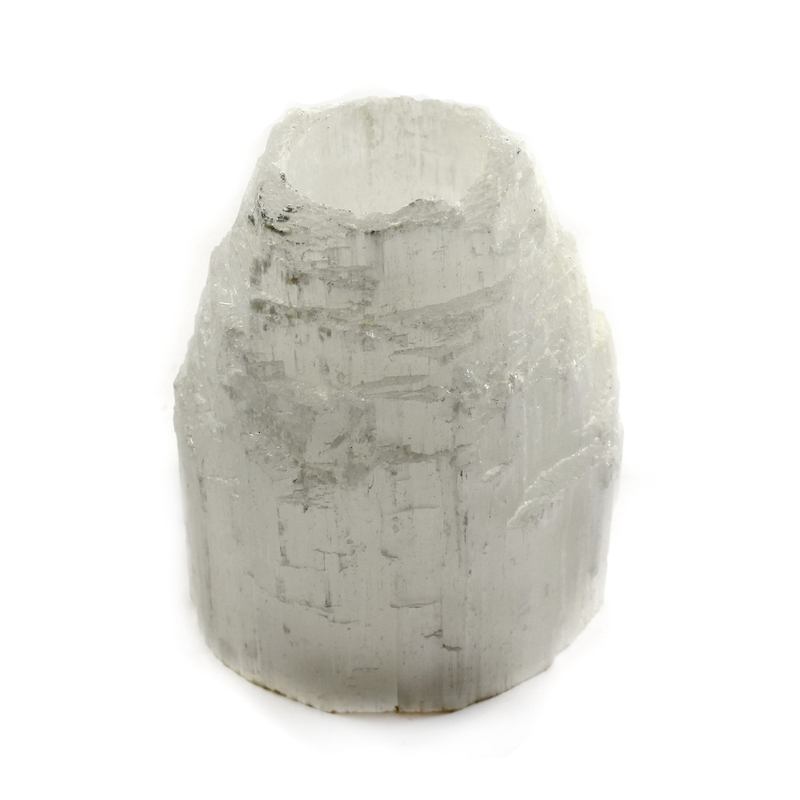 Selenite is soft and can easily be scratched with a fingernail. In some very rare instances water becomes encased in a cavity as the crystal forms. Because of the way Selenite crystals form selenite exhibits fibre optic qualities.